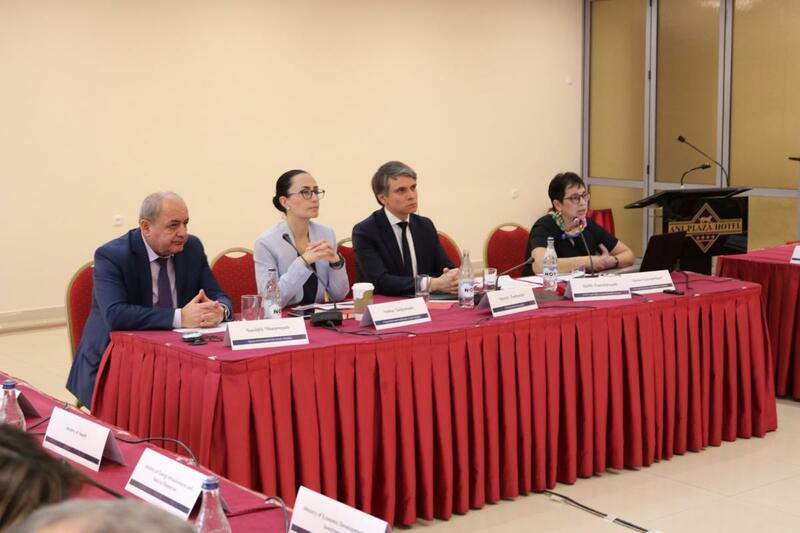 February 13, 2019 - A UNDP-GCF project inception workshop took place in Ani hotel in Yerevan to present the main objectives and planned activities, as well as consult with national partners and international organizations supporting Armenia in meeting its sustainable development objectives. Around 90 representatives of various ministries and agencies, international and non-governmental organizations and private sector attended the inception workshop. Irina Ghaplanyan, First Deputy Minister of Nature Protection and Dmitry Mariyasin, UNDP Resident Representative in Armenia made opening speeches. Diana Harutyunyan, UNDP Climate Change Program Coordinator delivered a presentation on adaptation planning issues within the scope of the UN Framework Convention on Climate Change, which was followed by the presentation of newly launched UNDP-GCF Project. The Project, in partnership with the Ministry of Nature Protection, and in close coordination with other national and local partners, aims to develop a National Adaptation Plan to address integration of climate change adaptation into national, sectorial and local government planning and budgeting, as well support in leveraging funds to meet critical challenges for climate resilient growth. The Green Climate Fund provided Armenia with 2.7 million USD for the implementation of the four-year “National adaptation plan to advance medium and long-term adaptation planning in Armenia” project that is fully aligned with the country’s adaptation priorities under the Paris Agreement. 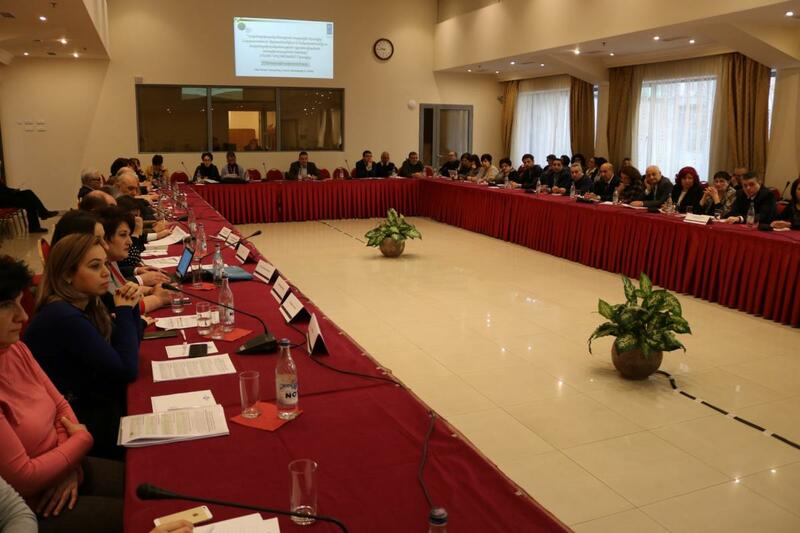 The strategic partnership between the Ministry of Nature Protection and UNDP as the implementing partner for this project will provide support to the Government of Armenia in formulating a mid- and long-term climate adaptation programme. This will be achieved through identification of climate related risks and subsequent integration of coping strategies and opportunities into continuous development planning and budgeting. It is envisaged that with the development of a national adaptation planning process, Armenia will lay the groundwork for institutionalized sustainable adaptation processes, through systemic and iterative processes targeting the priority vulnerable sectors: water resources, agriculture, energy, health, tourism and human settlements. Separately the local and international organizations presented their experience and on-going activities related to climate change risks and vulnerability and adaptation. The effective discussion on climate change risks and future cooperation among the donor-supported projects took place, as well as on the closing session of the workshop, it was agreed to define possible partnership opportunities with different organizations to bring out the most interesting collaborating potentials and synergy of impact.